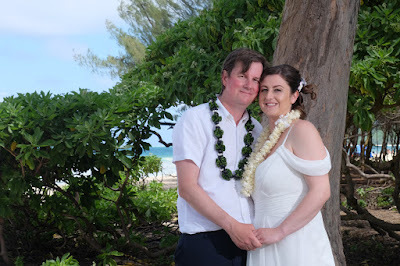 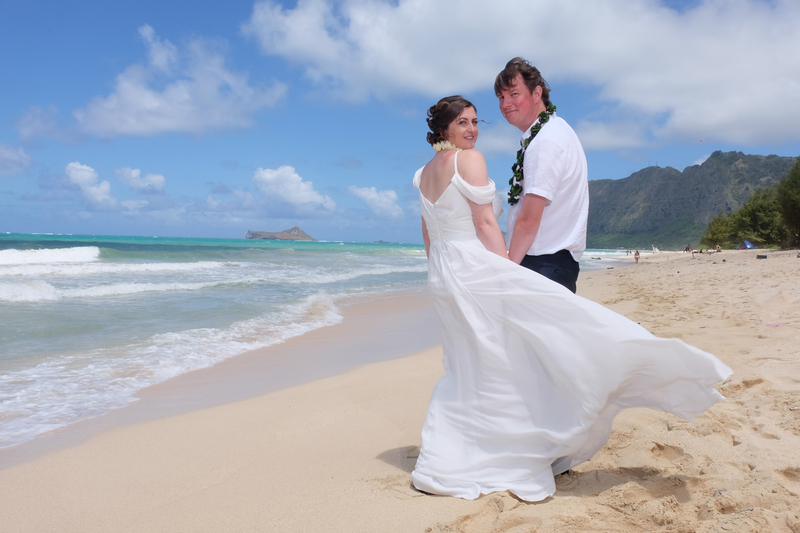 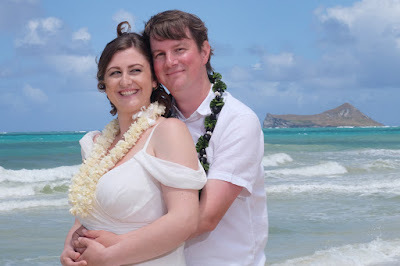 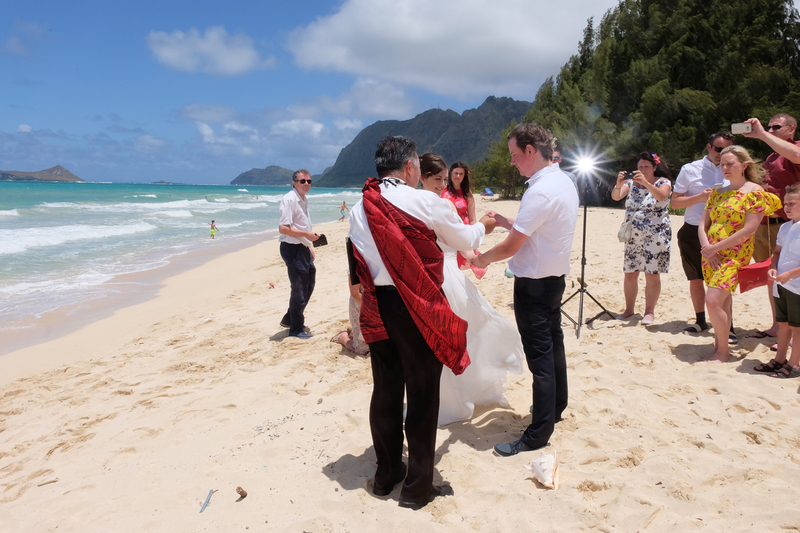 Daniel and Lauren tie the knot at Waimanalo Beach in East Oahu. 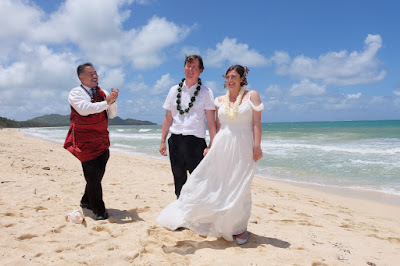 Wedding photos by Billy, ceremony by Pastor John. 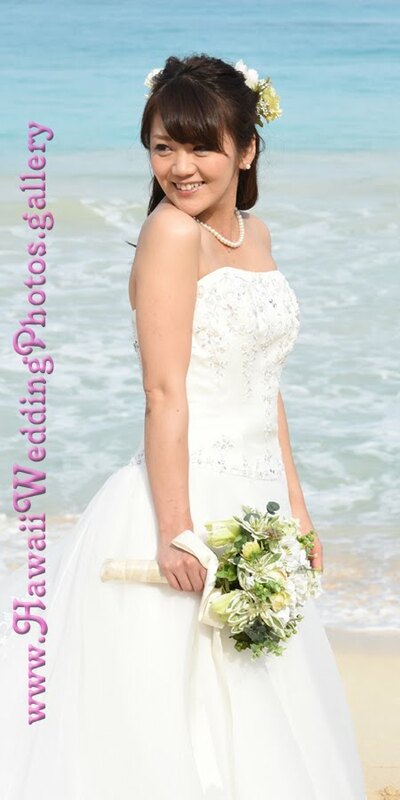 Beautiful greenery and pine trees, with turquoise color ocean seen through the trees.